Are these the kind of people who should be making decisions about your life if the have no regard for the most helpless! President Obama has a long and extreme record on abortion. I’ve reported here before about his comments that a baby is a “fetus outside of the womb,” his belief babies who survive abortion shouldn’t by law receive medical treatment and about his support of infanticide. We have all been concerned lately with the rise of conservatism in this country, especially as it relates to women. You’ve read the alarming news about the Justice Department’s request for hospitaals to turn over the private medical records of dozens of aptients. This cynical ploy is desinged to intimidate a group of physicians and force them to drop their lawsuit seeking to have the so-called partial birth abortion ban ruled unconstitutional. The fact remains, with no provision to protect the health of the mother, this ban on a legitimate medical procedure is clearly unconstitutional and must be overturned. 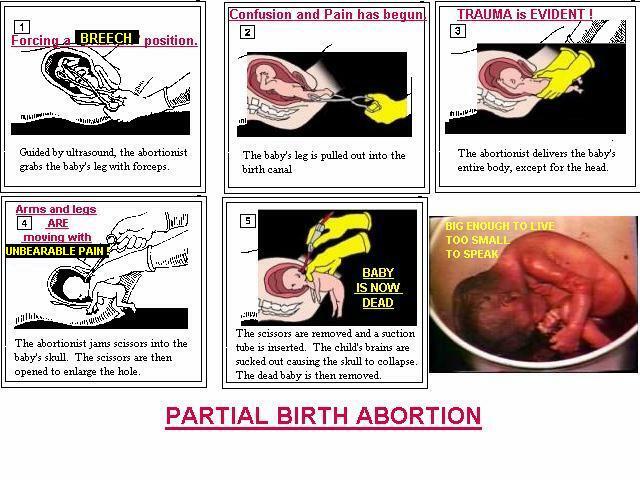 If you aren’t aware, the “so called partial birth abortion procedure” Michelle Obama supports, involves an abortion doctor stabbing a baby in the back of the head in an effort to kill him or her. 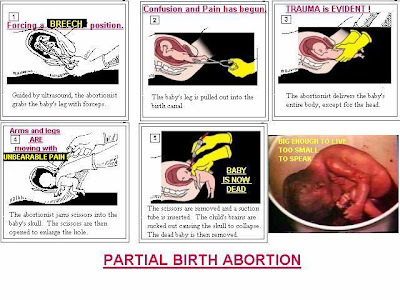 For further context, partial birth abortion typically occurs, as LifeNews mentions, in the middle trimester. With modern medicine, babies as young as 21 weeks are capable of surviving.